At the onset of World War II, Helena Flaum, 12 at the time, lived in Rawa-Ruska, Poland, not far from the Ukrainian border. After Germany invaded, she moved into the town’s ghetto until the Nazis began transporting Jews to concentration camps. Thanks to her father’s friend who worked in the Ministry of Labor, she avoided that fate. “His niece had died and I was about the same age, so he gave me her birth certificate,” she said. Flaum, a Farmingdale resident who turns 90 in May, told her story at the International Holocaust Remembrance Day event on Jan. 30, sponsored by the Center for Holocaust, Human Rights and Genocide Education (Chhange) at Brookdale Community College in Lincroft. It featured a panel discussion on the nature of forgiveness, and a tribute to the late Seymour “Sy” Siegler, who co-founded Chhange in 1979 with Jack Needle. The program, attended by nearly 100 people, also included a dramatic reading, written by Siegler and Needle, which was adapted from Simon Wiesenthal’s book, “The Sunflower.” The selection was performed by Needle, of Middletown, with Sherri West, of Manasquan, and other volunteers. The subject of when, how, and if to forgive remains relevant to survivors and their descendants. Panelist Paul Fried of Manalapan, a son of a survivor, said he struggles with the concept of forgiveness. “Many of my relatives were killed, including all my grandparents — I grew up without grandparents,” he said. “My mother, who spent time at Auschwitz, Venusberg, Bergen-Belsen, and Mauthausen suffered from terrible nightmares throughout her life. Audience member Myrna Raskin, of Long Branch, called the program “thought provoking” and said the reading challenged her opinion on forgiveness. Siegler died in October at the age of 83. 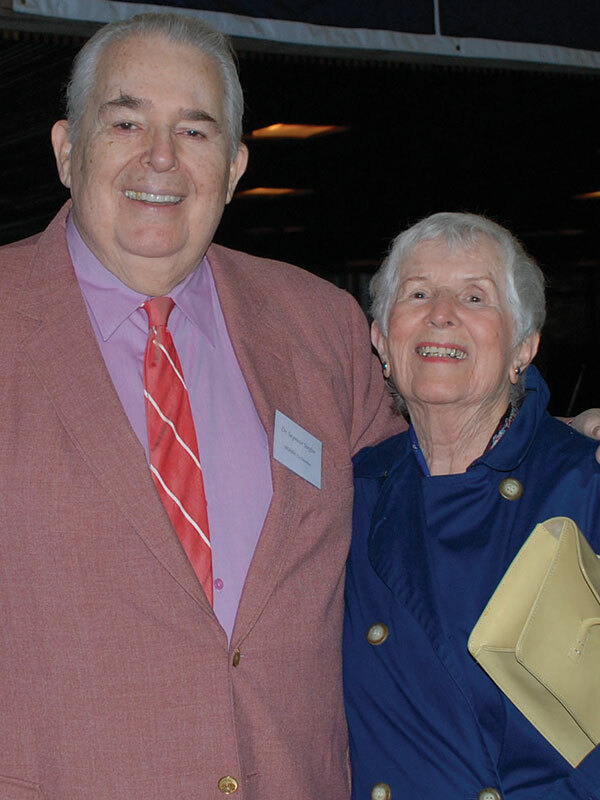 He was an educator for more than four decades, first at Red Bank High School and later as a professor of psychology at Brookdale Community College. He was the United Synagogue Youth advisor at Congregation B’nai Israel in Rumson for more than 20 years. 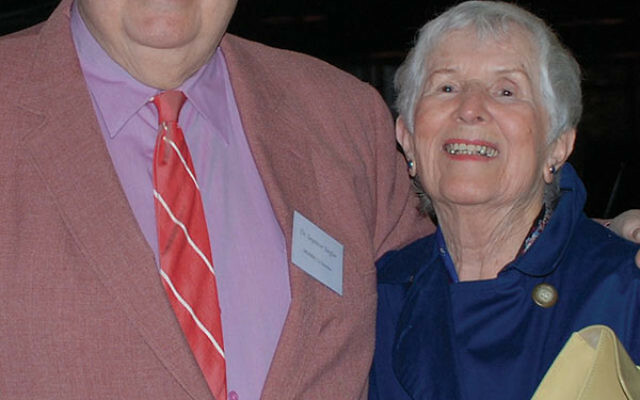 In her conversation with NJJN, Daniels added the late Norma Klein to the list of Chhange founders. Klein was the dean of community service at Brookdale, and without her support of the organization’s early events and her lobbying the college administration, the Holocaust education center may not have become the institution it is today, Daniels said. Borrowing a metaphor from Siegler to describe the work of Chhange, Daniels said, “Each time we touch one individual with our lessons about the Holocaust, it moves on, from person to person, sending out ripples, just like a pebble in a pond.